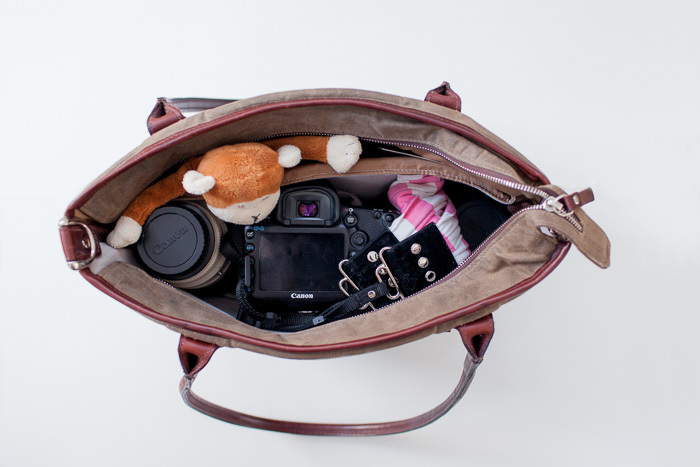 My bag includes different things for every type of session or age group I’m photographing that day. 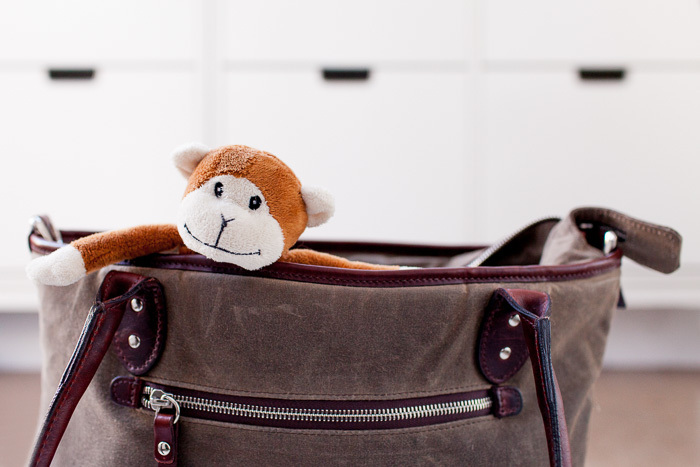 This bag is packed for an outdoor session with a mom, a dad, and an 18 month-old! I have my Canon 5D Mark 3 together with my 24-70 2.8L and 70-200 2.8L Canon lenses to capture the action and the portraits. I threw in my macro lens to grab some still-adorable long eyelashes and chubby fingers and toes. I leave the hoods at home. 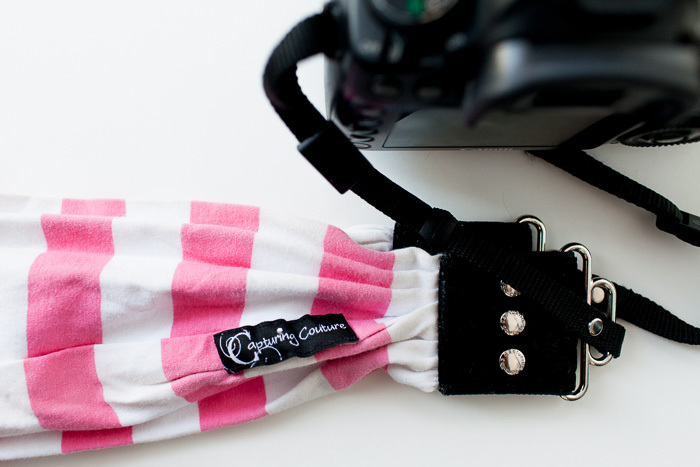 I love my Capturing Couture scarf strap because it’s cozy and looks great — it’s attached to my camera body with a Camera Strap Buddy that fits into the tripod mount. This is so the camera lays cross-body over my shoulder rather than hanging around my neck (which I find to be really inconvenient). 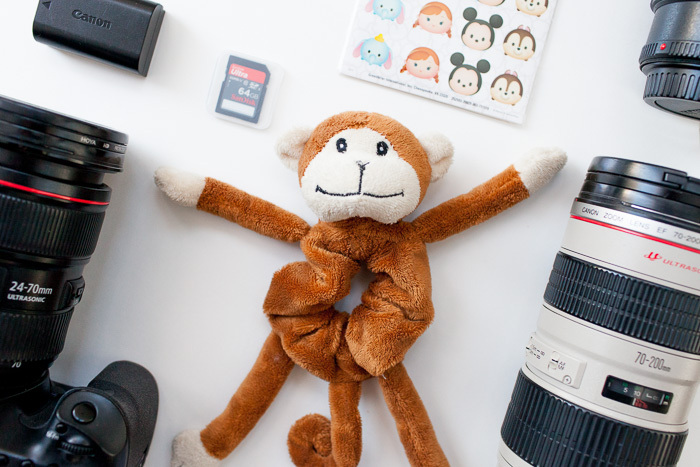 My monkey goes with me on every session that involves children under the age of 8 — he’s a Shutter Hugger so he fits right on my lens. Oddly, he always seems to have the same name as the child I am photographing. I also bring stickers for “bribes” and rewards, and tissues for tears and little noses. The lip gloss makes me feel great, and my iPhone is my map, navigator, timepiece, and mode of communication. 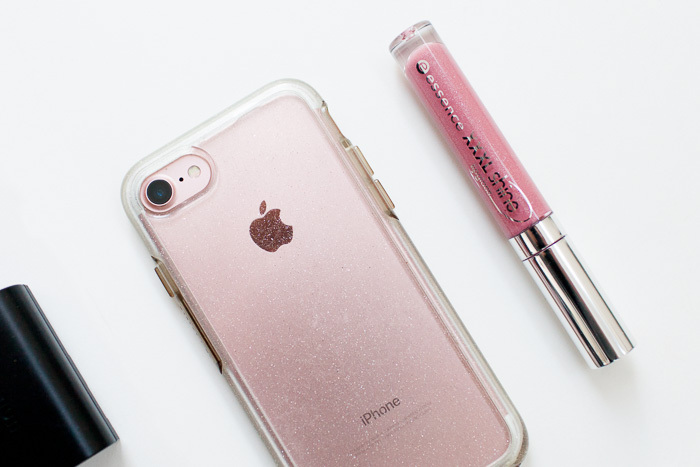 It’s protected from drops with an Otterbox Stardust Glitter Case, which looks great and has rubberized edges to absorb shocks. My bag is an Ona Capri, in Field Tan — it’s brushed leather. My 24-70 2.8L Canon goes to every single session with me. Somehow it keeps me creative, and I love shooting with it in its sweet spot of about f/3.5 or 4. My choice from other lenses depends on the session – my 35mm 1.2L or 50mm 1.2L for indoor sessions and newborns, my macro 100mm for newborns, and my 70-200 2.8L for everything outside. I love my 16-35mm, too, but it needs service so sadly it’s been sitting lonely in the cupboard for many months. 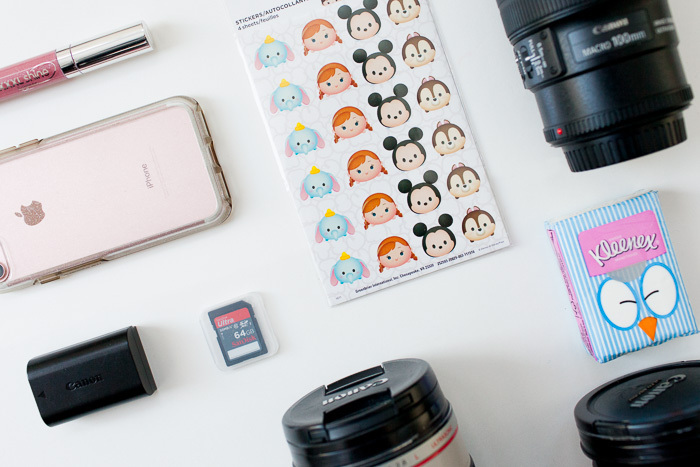 If I’ve prepared properly, my extra battery; if I’m not ridiculously overshooting, my extra memory card … and if I’m lucky, the tissues! 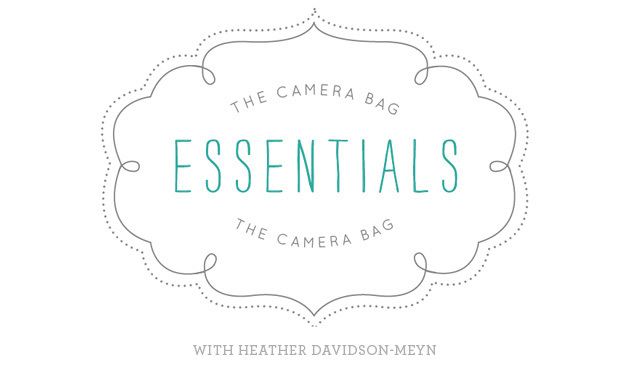 Thank you, Heather, for showing us what’s in your bag!